“10 Days in a Madhouse” film opens in November 2015 on Vimeo. Welcome to Suffrage Wagon Cafe that has been publishing since March 2015, Women’s History Month. Catch up on the past programs. I had the pleasure recently of interviewing Susan Goforth and Timothy Hines. Susan is the producer and her husband Timothy Hines, the director of “10 Days in a Madhouse.” The film starring Caroline Barry, Christopher Lambert, Kelly LeBrock and others is being released in US theaters starting this week. The production is based on Nellie Bly’s actual undercover investigative reporting on Blackwell’s Island, a mental hospital before the turn of the 20th century. It’s an important film, the type of production that’s in short supply these days –a work about women who are more than secondary characters, but rather pivotal individuals who move the plot forward. THE U.S. FILM THAT TRANSFORMED THE PEOPLE WHO MADE IT! I read the Nellie Bly biography by Brooke Kroeger and found it a fascinating account of her life. That’s when I found out many more details about Nellie, including her press coverage of the U.S. women’s rights movement. Nellie’s interview with Susan B. Anthony opened people’s eyes across the nation about this icon as a private person as well as her dedication as a women’s rights activist over decades. Nellie also covered the 1913 big suffrage parade in Washington, DC. She spoke her mind and attracted attention and scrutiny about a wide variety of issues. This film is opening doors to an understanding of women in the past who have made a difference. 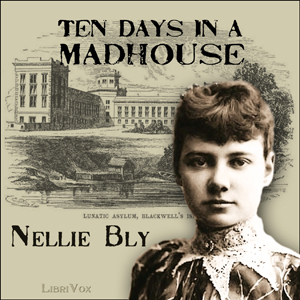 But “10 Days in a Madhouse” isn’t about Nellie as a suffrage activist. That’s background. The film expands our understanding of Nellie’s undercover journalistic coverage that opened the door for change in funding and policy making for publicly-funded institutions. It’s shocking. It’s informative. And the film is a must see. The film stays true to Nellie’s journalistic accomplishments in a production that’s expected to be in the spotlight during the Academy awards in 2016. You can see it now. The production features 90% women. It’s a valuable tool for teaching and learning about Nellie Bly and her cutting-edge work in investigative journalism. While you’re planning for a night out on the town, add the film “Suffragette”to your list. Susan Goforth and Timothy Hines believe the two films together will have people talking and thinking for quite a while. Support women filmmakers, performers, directors, producers, and production staff. We’re about to witness change when it comes to women in the entertainment industry. Support what’s on its way and demonstrate that we want more! Thank you for stopping by Suffrage Wagon Cafe. 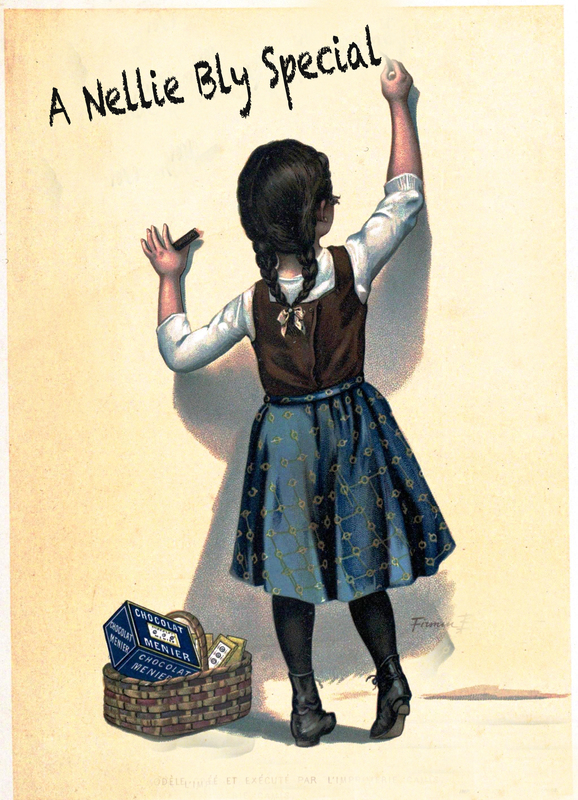 Follow Suffrage Wagon News Channel on Facebook and Twitter. Quarterly newsletters just by signing up. Suffrage Wagon News Channel has a video platform on Vimeo. In your free time, meet friends at the Suffrage Wagon Cafe. SuffrageCentennials.com features trends, news and views about suffrage centennials. “Choose it and Use it” is a video reminding us of how the past is linked to what we do today, as well as its impact on the future. We’re celebrating voting rights and women’s freedom to vote! Join us. Episode #8: “Spirit of 1776” Storytelling, The Good and Bad News for Wilmer Kearns!